best 16x pack. 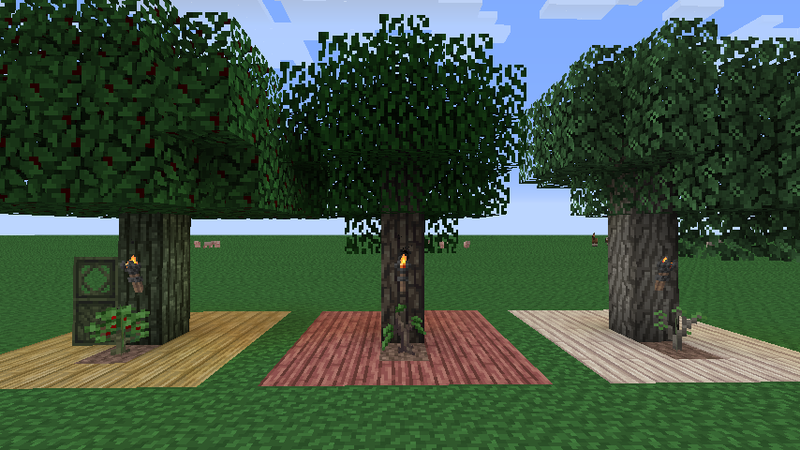 this texture pack is comparable with great packs like Eld. I hadn't realized the banners were updated. I can tell now. 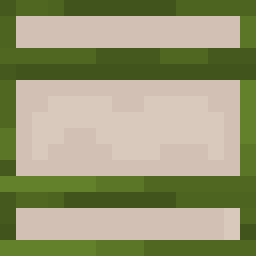 The shapes and colors are subtly different than default. Some painting ideas: Smaller style - Metro sign, wreath (to hang above door), other kitchen items, like cupboards, maybe pots and pans. As for larger paintings, how about a pixel style boat sailing under a bridge. Or a cityscape - skyscrapers. A street scene, people entering a grocery store with fruits and vegetables laid out in front. 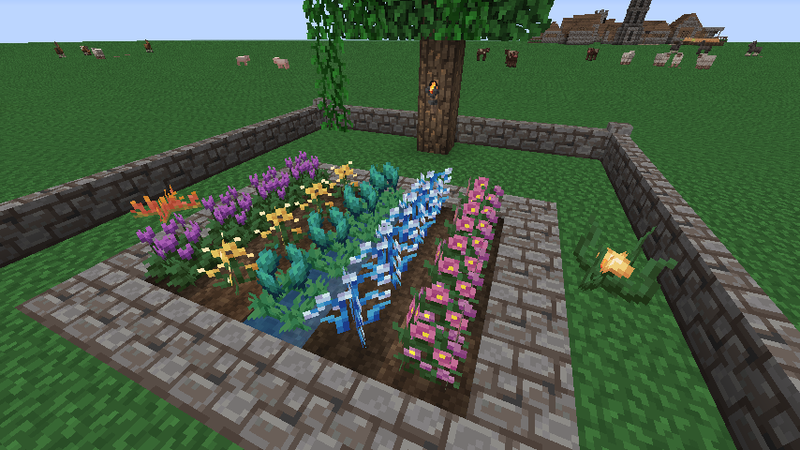 Another thing, is there a way to add biome coloring to flowers, sugar cane, wheat, and other plants? 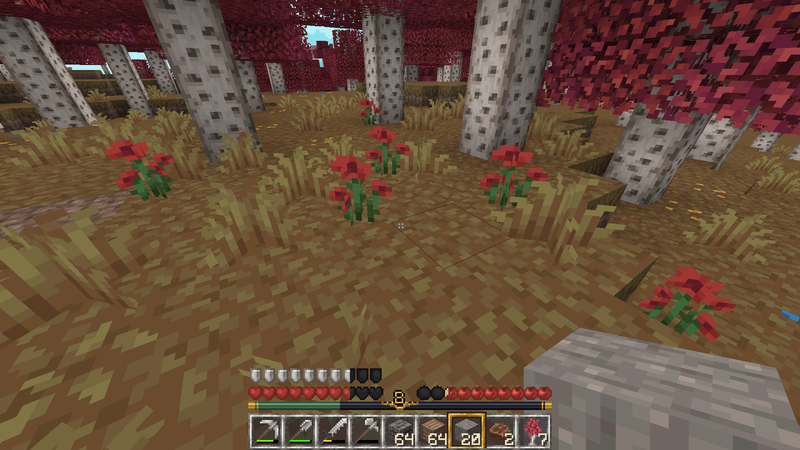 Take a look at red flowers in birch forests, for example. Expanding your CTM and biome-unique textures would be awesome. So yea, not the best situation in that respect, I'll try some stuff out though as even a subtle yellow tint would be all it needs to fit in a bit more. In fact, I could just add some variants with different coloured stems and slightly different flower shapes. Provides more variation plus might look a bit more natural too! Anyways everyone, thank you for all the comments while I've been a little unresponsive! 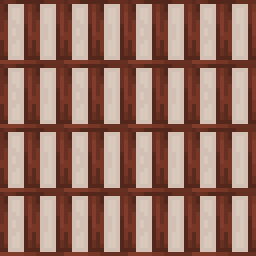 I'm currently checking out the new textures and they don't seem like they'll be too difficult except for the terracotta. Gotta think of something interesting to do for that but I still want it to be a touch more subtle than the designs are in vanilla too! Also been hearing that some mob designs are going to change so I'm hoping that the changes won't be too drastic. I'll add in the new snapshot stuff for the next update which will also include the llamas that I've worked on a bit and a fix for the stone/cobble slabs strangeness. Will try and get a couple more paintings completed as well! No ETA for the update just yet but I'll try and keep you all posted. What do you mean by half timbered exactly? A mix of stone and timber or something? Now that we have all these concrete and terracotta blocks I might make a few blocks that do this instead though. Could have a few colours of them and slightly different styles which would imo look really cool! Heya sheep, glad to see that you're still at it. I've gotten back into MC recently, and I've started working on BoP and Witchery textures for this pack again. I've gotten a fair bit done, although the naming conventions use the 1.7.10 scheme (since that's the version I play on), so if you end up wanting to use them for the main pack, you might have to do some renaming. That said, I'll post some screenshots of what I've made so far when I get home from work. Hopefully by next weekend I'll have a download link with a fair amount of textures for you. 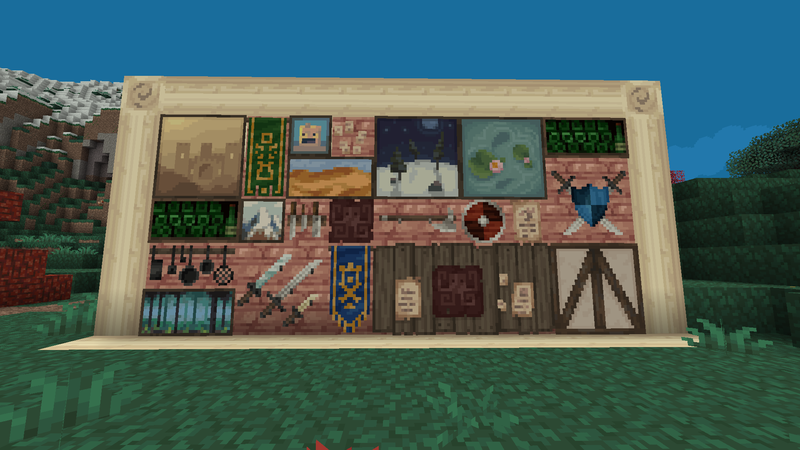 XSSheep, this has turned into my go to texture pack for quite some time now, it's amazing. You made me appreciate 16x again. Thank you for all your hard work over the years. Hope to see you and this texture pack for many more! Heya feathers! Nice to see you round again! That sounds great to me, I've just recently been trying to compile all the mod stuff in one place to release as a grouped download so having more BoP and Witchery stuff will be fantastic. Well still no plans for stopping anytime soon so hopefully minecraft keeps getting interesting textures added to it for me to work on! Alright, I'm finally uploading the bit of mod support I've done for Pixel Perfection in 1.10+. In the zip I have a text file that details what mods I've done a little work for (since it's pretty random). This zip includes a little support for quark, bop, more materials, and baby animal model swapper (all baby animals are done, but they won't work if the mcpatcher animals are included. I think you have to delete the cow2.png from the pixel perfection zip (under mcpatcher/mobs/cow/ for the baby animals to work. 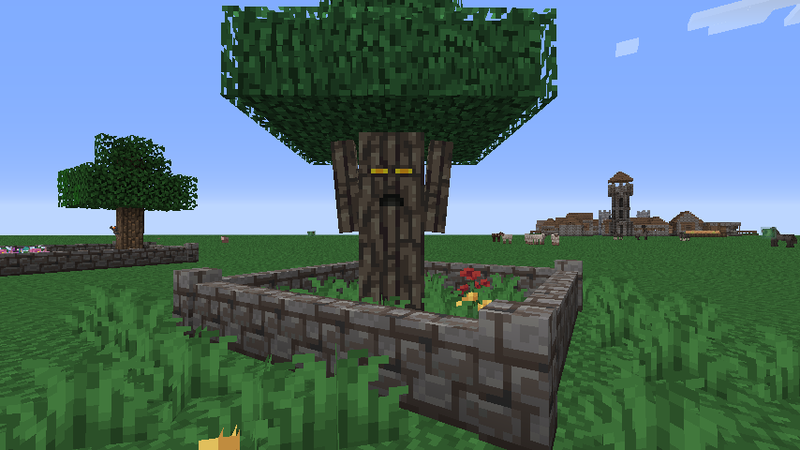 It should be the same for all versions of minecraft), in addition to other small mods. I've got more mod support scattered in various folders, but it'll take me some time to organize. 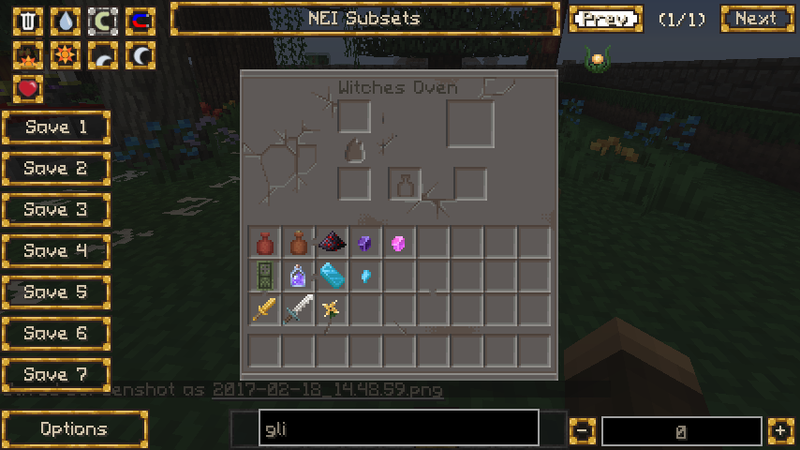 As for other versions, I've done some work for 1.8+ mods that I'll upload at some other time, and I may have some support that also works for 1.7.10. There's only one thing that i think i'm not getting properly from this texture pack, and that's the shulker box GUI, is it implemented or it's actually the default one? Other than that, this is the best 16x16 pack for me I love everything about it even the custom sounds. Ah, you know what, I might've actually forgotten to do that! The shulker boxes themselves are done but I must've totally forgotten about the gui side of things. I'll have it in the next update for sure, thanks for mentioning it! Glad to see you around again, Sheep! 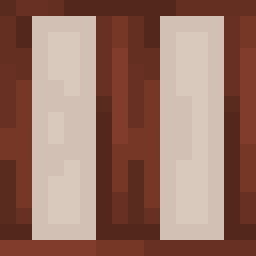 I know you've got a lot on your plate right now with 1.12 around the corner, but have you ever considered support for something like this? In particular, the enchanted book textures depending on which enchantment the book holds - I thought that was really neat. That is really neat! I've never thought about it for enchanted books but it's a great idea and I definitely will look into it, see how many textures, etc. I'd need to make for it. I've actually done this with arrows so that 3 or more (from what I remember) are made into a little quiver with the arrows in it. This was done ages ago with CIT from mcpatcher and I don't honestly know if it still works so I'll see if I can get it working this way and maybe add in a few more common stacked items too. Aubardoise, I like your idea for concrete blocks. So much so, I went and created a rough collection of my interpretation of it. The thing is, at the moment I'm not sure how much use a rather blank concrete block would actually have in the pack. Between the wool, the stained clay (which in this pack more closely match the wool than they do in vanilla) and then the concrete powder which I'm also making have a somewhat smoother texture, I feel like there are enough smooth/colourful blocks to build with. As such I think I will add a unique design to each of the concrete blocks to provide more variety when building which is always a good thing imo! I'm not sure if I'm going to do each block as a wood/plaster style block, I do want to make a few different building styles more accessible with the blocks, just have to figure out exactly what designs I should do for each! I think I'm going to be taking a look at some of the blocks from the conquest resource pack for inspiration here because monsterfish has made a bunch of different blocks in different colours that are useful for building. 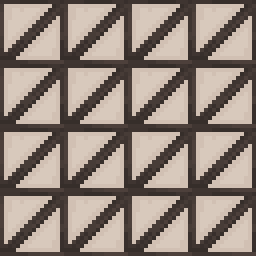 I'll also try and implement a bit of ctm to enhance the blocks further too. 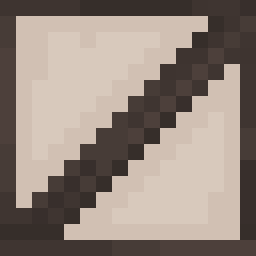 My terracotta blocks are going to be a bit more similar to vanilla except I'll try and make their textures more representative of their specific colours (so black will be 90% black instead of half black and red in vanilla, etc.). 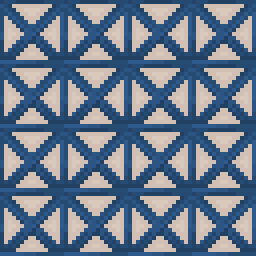 I also want the patterns to be a bit more subtle so that they can be used in more situations without looking quite so jarring next to other blocks. One issue I have with it though is that snowy grass still has lots of green grass visible beneath. That takes away the winter-feeling when you see all the green and the winter scenes get very cluttered.